This is sun-kissed nougat, rich in almonds from Provence and in lavender honey. 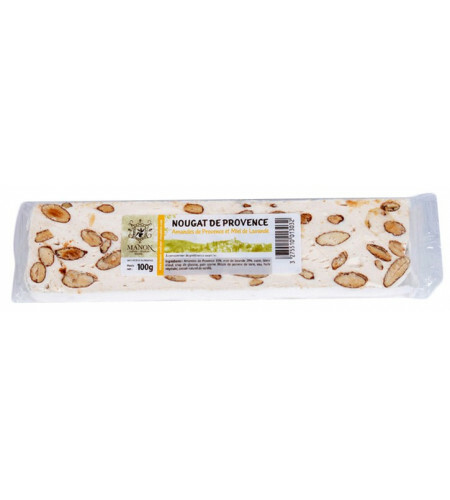 The softest nougat combines with the most flavoursome honey. 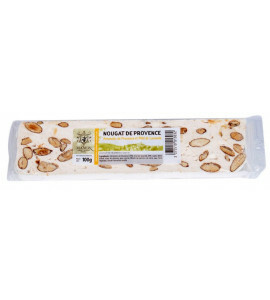 This white nougat is a traditional recipe and 64 % of the ingredients come from the Provence region. The sweetness of lavender honey harmonizes well with crunchy grilled almonds. Ingredients: Almonds of Provence 35%; Lavender honey 29%; Sugar; Egg white; Glucose syrup (wheat is guaranteed gluten-free); Matzo: potato starch, water, sunflower oil; Natural vanilla extract. Made by craftsmen, products free from preservatives, additives, colorants and artificial flavours.